Tropical florals and foliage. 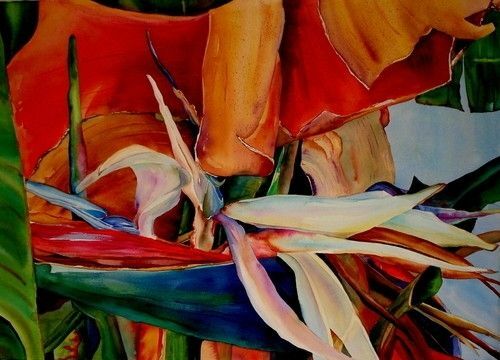 White Bird of Paradise with vibrant leaves in shades of red and gold. Watercolor on Arches Paper, simple florentine amber metal frame.